What course should my child do first? There are 3 beginner courses that we recommend you start with based on your child's age. Kids can choose any one of them and start doing them. By the end they'll have a good working knowledge of programming principles, being able to build animations, games, projects with pen drawing, music, etc. After 6 lessons are completed, all other courses that teach physics based games, music, pen drawing, platformers, RPG game design, etc. will also be unlocked. Start with the various editors such as Mob Editors, Item editors and Skin editors to create and customize your resources in Minecraft. Then start using the Tynker Mod Designer to build your own mods and games. 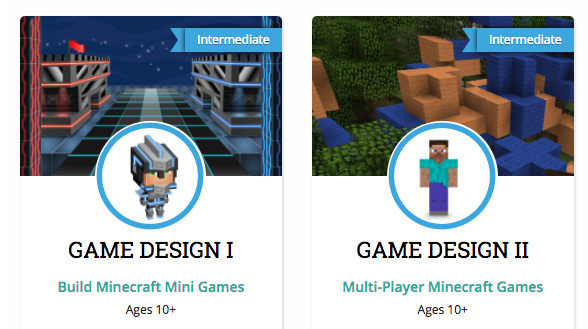 We offer interest-based paths such as Minecraft, robotics, drones, and game design. They are not necessarily part of the progression, however, they are a great way to apply coding skills in different domains. Each child is different - some of them plough through all courses, and some are selective. We've designed our courses to be scaffolded, and whatever their interests are, we've got them covered!